Tralee native, Shaun O’Shea of Sigmar Recruitment. THE Tralee man who was pivotal in bringing 50 new jobs to the town, is looking forward to growing the company from its new offices at Liber House in Monavalley. Earlier today, Sigmar Recruitment announced they were setting up their European Talent Hub in Tralee. The company recently announced a €1 billion partnership with French giant Groupe Adéquat, so the future looks very bright for the firm. This morning we went to Monavalley to meet Shaun O’Shea, the Sigmar Head of European Recruitment and a proud Tralee man. Shaun, originally living in Oakpark but now domiciled in the Spa, was educated in Holy Family NS and CBS The Green, later studying Corporate Law in NUIG and completing a Masters in Human Resources. 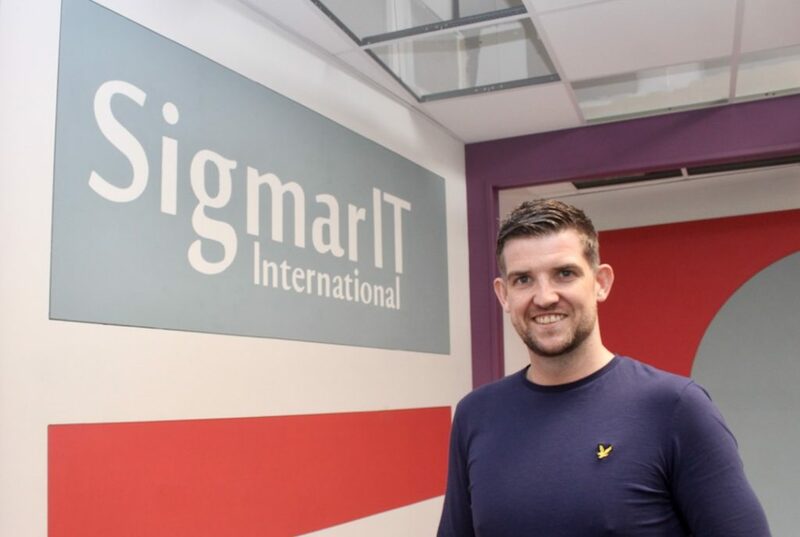 He has been with Sigmar Recruitment for seven years now and having worked initially in Dublin, he moved back to Tralee with his family, where he has been working remotely. Now, after much research, the company has decided to invest big in the town and Shaun was instrumental in that process. 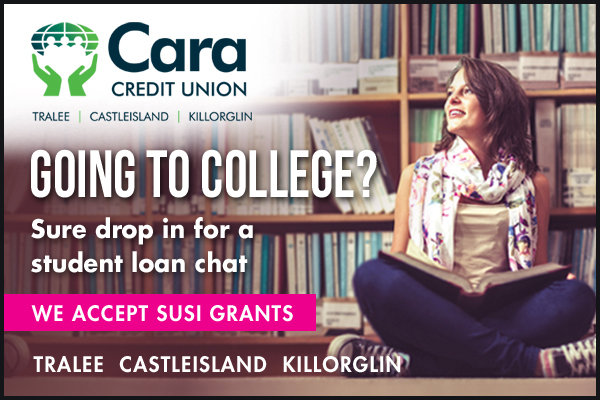 “I’m a massive fan of Tralee and it’s gut-wrenching to see talented young people leaving the town to work elsewhere. I’m sure many of them are doing fine in Dublin but you have to do very well just to live there,” he said. Sigmar is offering people an alternative; a great work/life balance with a short commute. “In fairness to Tralee Chamber Alliance, they put together a great package on Tralee. As Tralee people we don’t shout enough about how much we have to offer down here,” he said. While it’s not necessary to have a degree in a particular area to get a job at Sigmar, there are some qualities that are essential. “I’m sure it sounds like a cliché, but we are looking for people with hunger, passion and desire. They will be trained to research and find candidates for positions with our clients,” said Shaun. “This isn’t like a sub-office and we’re not just putting an admin team down here. Tralee is the going to be the main pillar of growth for the company,” said Shaun. Sigmar’s reputation is very impressive. They have 125 people already employed in Dublin, Galway and Cork and are No.3 in the Irish market for recruitment. They are founders of Talent Summit (largest HR conference in Ireland, set up to create better workplaces and improve working lives) and are consistently ranked in the Top 5 Great Places To Work in Ireland. They were named Business of the Year in 2017 (European Business Awards) and recipient of Deloitte Best Managed Companies Award in 2018, 2017 and 2016. Shaun says community very important to Sigmar and they aim to fully engage with local businesses and educational institutions in the town. “We want to be involved as much as possible in the community. The best thing about Tralee is its people and when the people from Groupe Adéquat travelled over from Lyon in France, they couldn’t get over the welcome they received here. Hopefully when other companies see this jobs announcement, it might make them think about looking at the town to locate,” he said.